242 pages | 1 B/W Illus. Winner of the British Psychological Society Book Award (Academic Monograph category) 2013! Over the past thirty years, researchers have documented a remarkable growth in children’s social understanding between toddlerhood and the early school years. However, it is still unclear why some children’s awareness of others' thoughts and feelings lags so far behind that of their peers. Based on research that spans an extended developmental period, this book examines this question from both social and cognitive perspectives, and investigates the real-life significance of individual differences in theory of mind. After tracing the key age-related changes in the development of theory of mind, this book examines individual differences in relation to children’s cognitive abilities and their social experiences. Why might language or executive function matter for children’s social understanding? And how do children’s linguistic environments and relationships with parents and siblings contribute to their ability to reflect on people’s thoughts and feelings? The book also reviews the evidence for predictive links between early social understanding and later social behaviour. Using information gathered from classmates, teachers and the children themselves, the author investigates links between individual differences in early social understanding and in the quality of children’s interactions with friends, in their ability to resolve conflict, and in diverse aspects of school adjustment. Drawing on rich observational data gathered in this extended longitudinal study, as well as skills acquired during her early experimental studies of children with autism and a six year collaboration with Professor Judy Dunn, the author integrates both cognitive and social accounts of theory of mind. The book is ideal reading for researchers actively working in the field, graduate and undergraduate students specializing in developmental psychology, educational and health professionals, and parents interested in learning about children’s early social development. Part 1. Cognitive Perspectives on Social Understanding. 1. Milestones in Social Understanding, from Infancy to School Age. 2. Executive Function and Children's Understanding of Mind. 3. Language and Theory of Mind: A Cognitive Perspective. Part 2. Social Influences on Children's Understanding of Mind. 4. Language and Theory of Mind: A Social Perspective. 5. Parenting and Children's Social Understanding. 6. Siblings and Children's Social Understanding. Part 3. Social Understanding and Social Outcomes. 7. Social Understanding and Antisocial Behaviour. 8. Social Understanding and Positive Social Behaviours. 9. Social Understanding and School Life. 10. Emerging Themes. 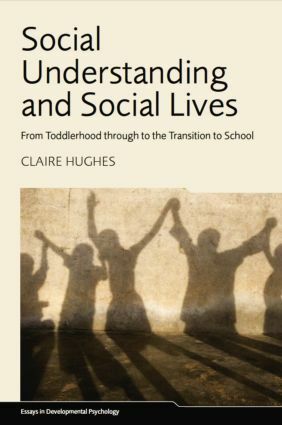 Claire Hughes is Senior Lecturer in Developmental Psychology at the Centre for Family research, University of Cambridge. She is also Editor of British Journal of Developmental Psychology. Essays in Developmental Psychology is designed to meet the need for rapid publication of brief volumes in developmental psychology. The series defines developmental psychology in its broadest terms and covers such topics as social development, cognitive development, developmental neuropsychology and neuroscience, language development, learning difficulties, developmental psychopathology and applied issues. Authors in this series provide an overview of their own highly successful research program, but they also include an assessment of current knowledge and identification of possible future trends in research. Each book is a self-contained unit supplying the advanced reader with a coherent review of important research as well as its context, theoretical grounding and implications.